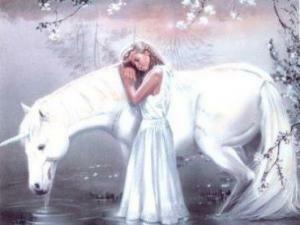 The horse knows his strength and does not abuse his power, can we say the same? Find the strength there is in extreme calm and silence. It is a place of power above the din of the crowd. The greatest leaders are the humblest – Ghandi, Mother Teresa, Lao Tsu, upon whose teachings this book is based. The lead mare in a herd will part the crowd just by walking through it, no need for defence, her power is a given. When the great Lion walks through the wide open spaces in Africa, no animal questions his power; he does not have to charge to prove it. The prey knows that the lion does not hunt unless he is hungry, and gazelles and zebras will graze right next to the sleeping King of Beasts, until he awakes and wants to eat. They know the difference. When you really know who you are, and you walk in your own power, the ego takes a back seat and you are authentic. You have no need to give others advice unless they ask for it. If they do not ask, they are not ready to listen. Horses are like this, they know exactly what they can do and what they cannot do. They know their own strength at all times and they follow their inner guidance – we humans could learn a lesson here. So often we go against what we feel is right, it makes us false in the presence of our horses. All they ask is that we be honest with our feelings and show up as ourselves, like they do. The greatest confusion that horses experience around humans is when the outside and the inside don’t match. They don’t know how to do that. It confuses them greatly. The ego is responsible for making us feel a sense of entitlement – like the world owes us a living. But with horses respect is earned – they respect the horse with the greatest self confidence and ability to lead by putting the welfare of the herd first, not their own safety. A stallion will fight off wolves and predators, while his lead mare gallops away with the herd in the opposite direction, taking them to safety. He doesn’t expect praise for his selfless act; he’s just getting the job done to save his family. Horses show affection and appreciation by mutual grooming, a simple act. When you believe that every living creature has an importance and place on this earth, then it becomes impossible for you to abuse them. They don’t need to win ribbons in shows to prove their worth to you, they are worthy just because they breathe the same air as you. That’s all. A horse isn’t worth more because of the fact you pay a lot of money for board or buy them expensive blankets, they are worthy because they came from the same source as you – simple. 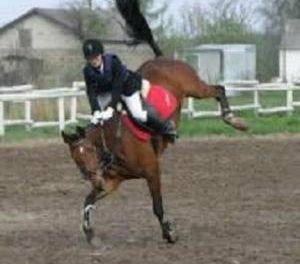 When an owner expects payment of some kind from the horse because of “look at how much I pay in board and training and that saddle cost me five grand – he should appreciate it!” Really?? You have just put a man made expectation onto a horse, something they have no concept of. For them the best things in life are free – the rain that cools their skin and makes the grass grow so they may eat, the sun that warms them, and the unconditional love of friends and family. Their value is innate, and we are the ones who put such hefty price tags on horses, God made them free of charge, and we should honour that. True value is not attached to money, it is priceless. Think of that school pony who has lovingly taught scared kids to ride, taken them to shows and never missed a beat – how do you pay for that? Our sense of entitlement comes from fear, when we do not know our own worth or value ourselves, we put that insecurity into the way we run our lives and treat our horses. Somebody always has to meet our criteria before we will like them or respect them – but that is conditional love, and the price is always too high. True giving comes from a joyous heart and expects no reward, as the reward is being able to give to someone in need. What goes around comes around, and if you are a kind person, kindness will be returned to you a hundred fold. And even if it’s not, do you care? As long as you know you feel good about what you have done, that is all that you need. Your own good opinion of yourself is all the appreciation you need, as that is true authenticity and walking in your own power. When the horse shows you any kind of behavior, especially negative, remember not to take it personally. It’s showing up for a reason, and they need to express themselves. It’s all very well to say “oh they are just being an a**hole”, but are they really? I remember a mare I rescued off the racetrack once; she was a gorgeous chestnut, 17 hands and great conformation. I was told how mean she was, how many people she had attacked, and how they had to lead her with two people on the end of poles as no one could get near her. Well it turned out that she had a very badly damaged from fetlock joint, they had run this horse into the ground, literally. She had white stockings and very bad rain rot on her legs, which I was trying to wash off with iodine scrub to kill the fungus. She tried to cow kick me and I simply walked up to her head and looked her in the eye with these words: “I never tried to hurt you; I need to wash your legs to get the fungus to clear up, so please work with me here”. She lowered her head and with a guilty look she allowed me to finish treating her legs. The next day my ex husband and I did some bodywork on her, and she had a corkscrew twisted spine, her atlas was jammed up and both hips dropped and rotated. Her stifles were locked – it would be easier to tell you what was wrong instead of what was right. As we massaged and readjusted her skeleton, she let out a huge sigh and from that day on, she never threatened anybody again, she became the biggest sweetheart and very affectionate. Here is a mare that was used like a machine, with no compassion or feeling. If you run into a horse like that, is it any surprise they are mean and threatening? So be kind but firm. If you are confident and authentic, the horse will accept you – no problem. 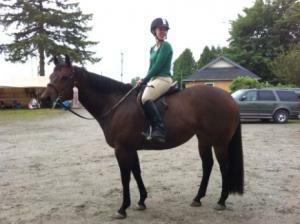 But if you thinking the horse owes you, or needs to perform something in order to please you – wrong! You are being seduced by your own ego and it will land you in no place other than trouble. Let every horse you encounter show you who they are, and accept it. Don’t make a horse jump who is afraid of fences, they will never be good at it. I’ve never had a horse who hated Dressage, but that is because I don’t ride my dressage like other people do, its basic training. It’s about allowing not demanding, giving not taking, there is a huge difference. We don’t need to choose who the horse should be, they are who they are. In the same way, we should not let others dictate how we live our lives, but so many people do just that and then wonder why they are so unhappy and depressed. We all have the freedom to choose to be our authentic self, this is a very important and profound lesson from the Herd, and it’s time we listened! 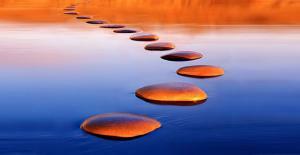 Chapter Ten: Think Small, Not Big – A Journey Of A Thousand Miles Begins With A Single Step – Tao Te Ching.